“THIS IS HOME” – A freestyle ski feature film from the Faction Collective, featuring Kelly and Henry Sildaru! 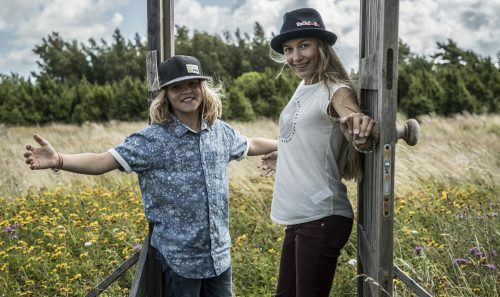 Meet and greet with the freeskiing siblings + Simple Session 18 ticket GIVEAWAY! From Europe to the US and back again, the film follows freeskiers as they return to their respective bases around the world and show how they get it done on home turf. Revisiting old playgrounds and favourite lines, finding new challenges and scoping out secret spots, this film chronicles what it means to be a freeskier today – where the conditions are what you make of them, and the search for that perfect ride begins in your own backyard. Filmis teevad kaasa: Antti Ollila, Alex Hall, Tim McChesney, Daniel Hanka, Adam Delorme, Ducan Adams, Candide Thovex, Sam Anthamatten, Johnny Collision, Eirik Sateroy, Mathilde Gremaud ja Giulia Tanno. Proud presenters of Simple Session 18! 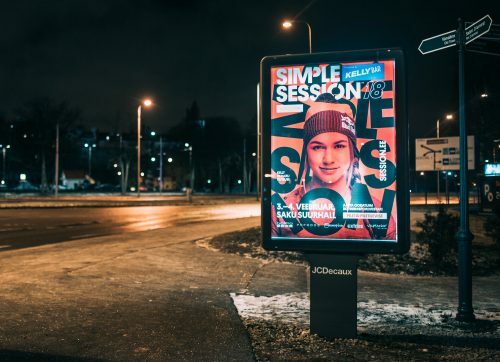 For the past couple of years, Estonians have had the joy and excitement of watching Kelly Sildaru grow into one of the best young athletes of the freestyle skiing scene. With her Aspen 2016 gold at just 13 years and 11 months old, Kelly became the youngest X Games wintertime gold medalist, as well as the second-youngest gold medalist in X Games history. Not to mention the first Estonian to win a major international extreme sports competion. Kelly’s brother Henry is keeping up with big sis, so watch out for another wintersport wunderkind emerging from Estonia! KellyBar & HenryBar are high-quality kvarkbars developed in 2017 by top Estonian chef Imre Kose in cooperation with the young freeskiing talents. Produced on the ecologically pristine island of Saaremaa, these delightful snacks come in a variety of fillings and flavours, creating unique taste combinations. The strawberry-rhubarb, baked apple and cinnamon, gooseberry, cheesecake, and yogurt kvarks are topped off with cocoa cookie crumbs, salty caramel or coconut. And – all this goodness is glazed in toffee, yogurt or Belgian chocolate. Yum! Make sure to try out the skiing siblings’ brand new treats! Available at Simple Session and Selvers all over Estonia from February 2018! Kvarkbars have been a cult food in Estonia since their invention 70 years ago. Just imagine – Estonians consume over 60 million of these protein-rich dairy-based snacks every year!